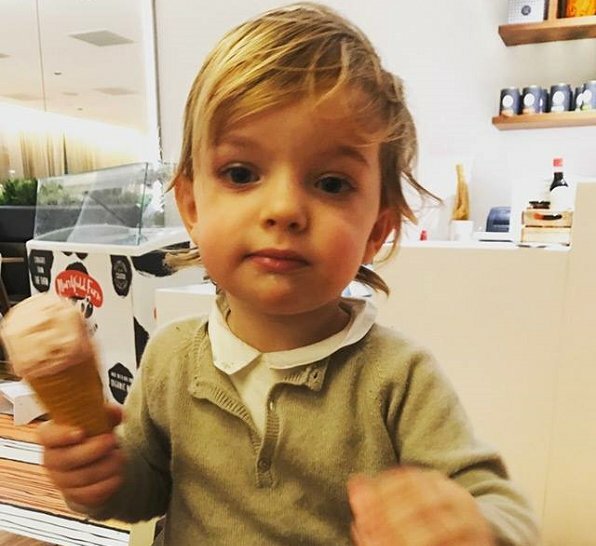 On March 11, 2017, Swedish Princess Madeleine shared a new photo of her son Prince Nicolas on her own Facebook account, with the title of "Happy Saturday from Nicolas"
This is one gorgeous kid! What a "yummy" llittle sweetheart. Princess Madeleine and her husband have good looking children and dress them always in tasteful clothing. Her kids are definitely the best looking in the family, but then, so is she! I agree! A very handsome little prince. He is so cute. Some years past and many hearths will be broken. Anja; Kiva että on joku muukin meikeläinen mukana, mun kommenttejani suomeksi ei koskaan julkaista. Adorable, handsome, beautiful little toddler. Definitely the cutest boy among royals then Jacques of Monaco, followed by Nikolai son of Daniel and Sofia!! Oups, a little mixed up? Nikolai is the son of Madeleine and Chris. Sofia is married to Carl Philip and Daniel is married to Victoria.